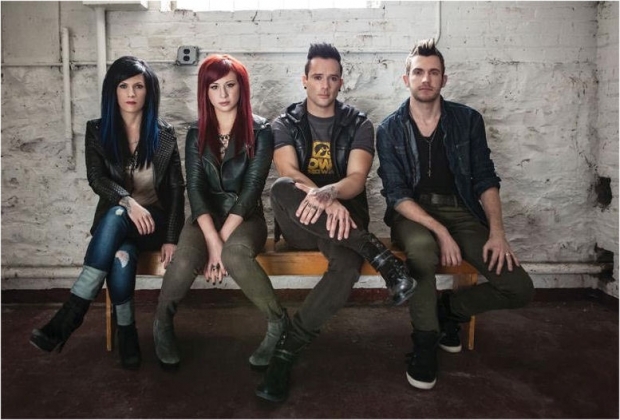 Skillet. Another band you may or may not be familiar with. They’re a Christian hard rock band from America (plus a British drummer), but don’t worry, they’re not the preachy type. Whilst they’re big in America they have only been to the UK a couple of times, one to support Nickelback and the other at this year’s Download Festival. But now they did their first headline tour in the UK and I was lucky enough to have them visit Wolverhampton for one of their shows at the Wulfrun Hall. Me and my mate Jack went. How did the event go?